Dreaming, the latest album from The Pavão Quartet, is now available on iTunes. Click here to buy! 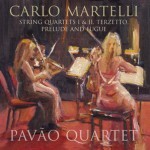 Check out Nick Smith’s awesome remixes of The Pavão Quartet! These were originally based on the quartet’s performances of Schubert and Ravel. Click here to listen! We hope to build on these efforts in future.